India is one of the most spice loving nations in the world. Almost every household have atleast one mixer or grinder at home for grinding the masalas or batter for dishes like Idli, dosa, vada, etc. But, mixer and grinder in one are the latest appliances which can not only helps in grinding wet or dry ingredients but also helps in mixing various other food dishes. 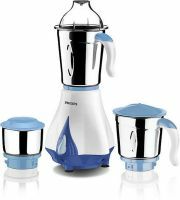 If you are looking for mixer grinder then you can find a wide range of products on DealsCorner. Instead of spending your time on different online portals like Flipkart, Amazon, Inifibeam, Shopclues, etc. you can find products from all these portals on DealsCorner. Search the product you need, compare the prices offered by various online stores and then pick the product of your choice in the lowest price range available in India. Your kitchen is incomplete without a proper mixer grinder appliance, as the manual process of mixing and grinding takes a lot of time. 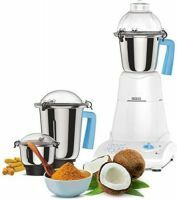 Moreover, if you are fond of chutneys or homemade masalas then you must have atleast one mixer grinder to ease of your tasks. It not only saves your time but also helps you to grind the spices without wastage. 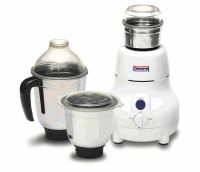 Available in small and compact sizes, the mixer and grinder does not take much of your kitchen space. The colour and design of the mixer grinder may vary model to model, depending on the model and make. There are different models and types of mixer grinders, but while choosing the appliances, one should ensure few points like type of machine, speed control features, over load protection, number of jars, locking systems, and available switch types. There are two major types in the mixer-grinders, one is the mixer and grinder units which are useful in mixing and grinder different food ingredients. 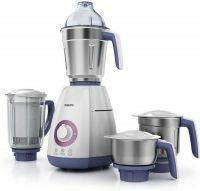 There are also Juicer, Mixer and Grinders which are useful in extracting vegetable or fruits juices, apart from mixing and grinding. So, choose the right type of appliance depending on your requirements. There is meaning wasting money another juicer, if you already have a juicer. The speed of the mixer and grinder is one of the important aspects while choosing as it helps you to understand whether you will be able to grind dry, solid, and hard items like turmeric, ginger or similar ingredients. Check whether you will be able to grind dry and wet ingredients in the same unit. Most of the time, the user is unaware of the amount of material to be added in the jar and the motor gets overloaded which can even burn out in worst case. So, some of the models have the circuit breakers which automatically shuts the power off when there is an overload. So, while purchasing the microwave oven check whether the overload button is provided or not. 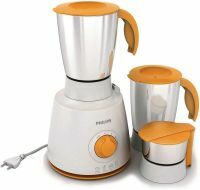 If you have small family then two jars are enough, but if you have a family with 4-5 members then look for large mixer and grinder models with atleast three to four jars, by which you can mix and grind two or more items at the same time. Check the safety features, locking system and type of switches available, while buying the mixer and grinder. 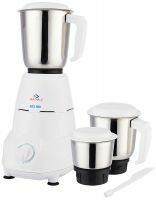 You can find mixer and grinder from any local store, but most of the local stores have limited stock or models. At DealsCorner you have the flexibility to find products from all major stores and brands on single platform. Instead of visiting different online portals, you can find the product results on DealsCorner. You need to just search the product you need, compare the prices offered by various online stores and choose the product of your interest in the lowest price range available in India. Enjoy your shopping on DealsCorner and keep posting your reviews.